So in that vein I’m going to do something I’ve seen recently on other bloggers sites. In fact I’ve seen this several times and I wonder if it’s a new trend. I’m going to thank the people who have awarded me these awards and go thru each of them in a single post. I mean no disrespect to any of the people who have originated the awards or who do carry them forward with nominations and the various rules they all have. But this the best way for me to honor the people who nominated me and still present the awards to the general community and let them know they exist and are going around to people. I’m grateful to a lot of people here but I won’t be nominating anyone, so don’t fear you’ll see your name on here somewhere. These are varied awards and cover a wide range of aspects of blogging and I am grateful for each of them. So without further ado I’ll start out with the first one I got back a month ago from Belsbror, the Being a Light in the World Award. You can find his wonderful blog at: http://belsbror.wordpress.com/ and I encourage you to go there and read some of his remarkable posts. Each of them has his unique imprint on them and tells us stories of his life and observations and perspectives on it. I’ve been following his blog for some time and have always found something interesting to read when I visit him. I’m very grateful for this award and thank him very much for nominating me for it. I don’t know that I’m a great light in the world but I do try to be one. It’s an important task to try to do this and I’m pleased that someone considers me a light in this often too dark world we live in. We need all the Light we can get! It’s a very nice award to receive and I’m happy to have it. Thanks Belsbror and the best to you always. 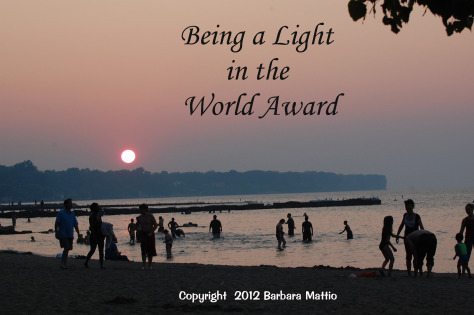 The next round of awards are thanks to one of my favorite bloggers, Iliana of the White Rabbit’s Gallery. You can find her work at: http://hakescafe.com/ and I encourage you to visit her and read her blog. She is a wonderful blogger and has become a real friend to me over the course of the last couple of years I’ve been blogging. I always find beauty in her work and true wisdom in her writings, some of which are pretty intense but I love that about her work – she really puts herself into what she does and it’s evident in what she has to show us. Whether it’s a beautiful photograph, of which she has many, or the words she attaches to them, which are often priceless. Or if it’s the writings she does about some very intense and important topics, all her work shows an understanding of life’s challenges and joys. She is always there for me when I need to have a friendly shoulder to lean on and has given me some great advice, encouragement and comments in my blog and on her site as well. I feel a real connection with her and I apologize for not being so precise in my dealing with these awards. Each of them has meaning to me and I’m honored to receive them, especially from her. I can’t say enough nice things about her and her work and I really hope you do visit her soon. I know many others agree with me that she’s an extraordinary blogger and will appreciate what she has to offer the world with her work and life. 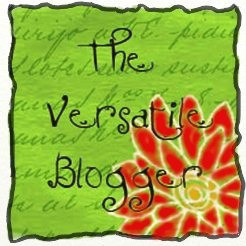 So on to the Awards… The Versatile Blogger Award I’ve already gotten and am honored to receive it again as it’s a nice one, valuing the way a person can put so many varied interests in one blog and keep it going in context. That’s my interpretation of course, but I think it covers it well. I try to be as versatile in my work as my context allows, which is why I subtitle my blog “Through a Gardener’s Lens” as a focus. It allows me to address many topics besides just gardening and I’ll try to do more of that as time goes on. 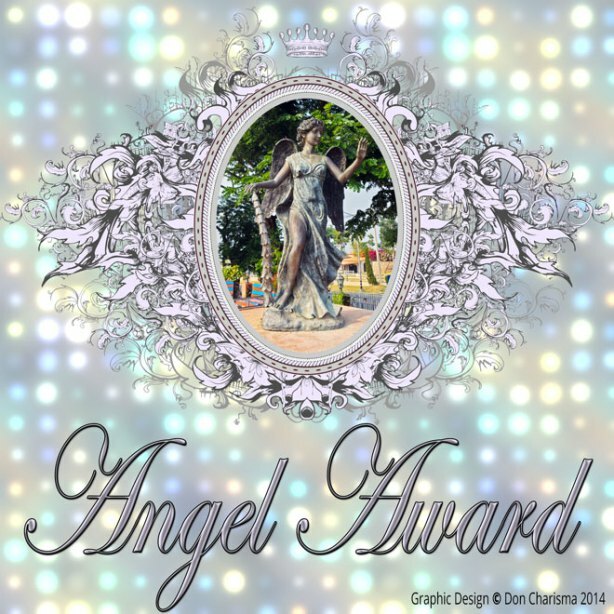 The Angel Award is a difficult one for me as I don’t think of myself as an Angel really, but I take the meaning of it. As someone pointed out to me it’s the Work that’s the Angel we’re talking about here and the Presence of the energy of beauty in the work described. I hope I show that in my work as I try to always do so. The work of Gardening is my Angel and talking about it is my joy, as it is for many others. Thank you Iliana for this gentle award. 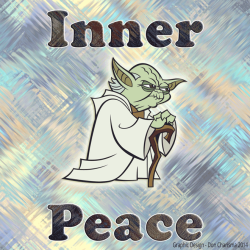 Next is the Inner Peace Award with a Yoda figure as its logo. I find this a particularly lovely gift to get. I struggle with inner peace all the time, as some of you know, and to get this award is a real gift to me and telling me that I must be doing something right to receive it. I’m not bragging here, I’m just acknowledging that I have found a modicum of inner peace and I know what it’s like to have it, tho I don’t always do so. But it’s often enough that I feel it and can relate well to this award. Thank you once more Iliana for this precious award. The final award really isn’t supposed to be lumped in with others but I apologize to the author and put in in here with the others from Iliana because they fit this way. She says this is a thank you from her to me for encouraging her to garden, a nicer compliment I couldn’t imagine getting. Any time I can help one more person to find their joy in the work I find so rewarding is a good day for me. I’ve been talking with her about this for awhile and it’s a great thing for me to receive the Butterfly Light Award for this bit of work, that really is no work at all to me. It’s a gift to be able to share it with all my readers and I hope I turn many more people on to the Light of gardening and its joys thru time. I wish to thank Aquileana for this last round of awards – the quadruple crown so to speak – four awards in one! Wow! I’ve only known Aquileana for a short time and I’m very impressed with her work and blog. She delves deep into the mythology and the writings of our elders in the western world of the mysteries of existence in meaningful and subtle ways that excite the imagination of all who read her. She puts complex subjects into common language that we can all understand and I’ve found much wisdom in her posts about the ancient world and its mysteries and philosophies. I encourage you to go to her blog at: http://aquileana.wordpress.com/ and read her posts. She really gets deeply into her subjects and I have enjoyed myself reading her work very much. I hope you enjoy it as well and visit her and see for yourself. Thank you Aquileanna for this Amazing 4 in 1 Award! It’s awesome, and so are you! The first award in the quadruple configuration is the Inner Peace Award. I’m not sure if it’s the same one with Yoda, but it may be. As I said before I have found a bit of inner peace in my life and I feel good about this recognition of it. It’s difficult to always keep it going but I do try. I guess that’s the best we all can do eh? Try to focus on inner peace so that we can spread it out to the rest of the world and make it all more peaceful. I do try to do that, and I hope you do too. 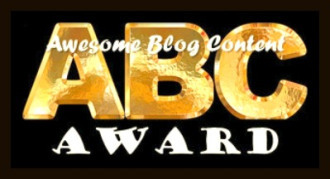 Finally is the Awesome Blog Content Award. I guess this one I’ll accept without reservation cause I really do think I have some awesome blog content. I don’t take much credit for it tho since I think it comes almost entirely from my photos and words about the garden, which is the real hero of this story as far as I’m concerned. Every thing I do in this blog somehow relates to gardening and how wonderful it is to do such a thing with ones life. I truly do love it and I think my blog presents a good picture of how cool it can be to do it. I sure do hope so. Thank you for these awards Aquileana and I hope to see you here again in the future, as I will be at your site too. I’m very grateful for this group of awards and hope I can live up to their honors. So that’s the awards. Now comes the part I have a hard time with so I’m going to cheat a bit here and simply say thanks to all those who read this blog. Any of these awards can go to whoever thinks they fit their work or blog. I freely award them to all the wonderful people who have gifted me with the tremendous honor of reading my work and following or liking my blog. I try to present things that will be of interest to others but I know I don’t always succeed as well as I could. That’s why I want to get back to writing about the garden and be done with these Awards. Tho I’m very grateful, I’m still more of a gardener than a collector of awards. They’re very nice and I’m very honored to receive them but it’s not why I blog- to get awards. I know many others feel the same way I do so from this point on I think I may just have to say thanks but no thanks for more awards. I just can’t do them well enough to feel comfortable accepting them anymore. They’ve been a gift to me and I hope to others and I want to leave it there while it feels good to me and not like a chore, which it’s close to becoming I’m afraid. Seems very reasonable to focus on your subject matter, Steve. If a blog comes along that you want to acknowledge and share, well, that can be done as part of your blog. I understand the award thing is about community and networking and that is fine, but I like you bringing yourself to your subject matter. That is what I read you for…..and I thank you for prioritizing that gift to us. This is from a very dear friend who is more than deserving of all these awards that he has received for his work in the blogosphere!!! Very well deserved. Congrats!! Thank you so much for re-blogging this post Dr Rex. And thank you for the congratulations. I’m very honored to receive all these awards and hope I’ve done a good enough job of carrying them forward as best I can. Yes you have, Steve!! Great job!! 🙂 Carrots indeed! You’d be welcome to frolic in my garden any time you wanted to dear. I’m so glad you feel at peace with my way of handling the Awards and are feeling appreciated by my words. I certainly hope so. I think our varying disabilities do affect things like the awards and the pressure they sometimes carry with them. We have plenty to deal with already. Thanks for visiting and sharing your warmth with me.